This degree is designed to give you a solid foundation in linguistic theory, and to link this theory to the huge array of real-life contexts in which language is used. Our mix of core and an optional modules means that you will have the freedom to design the course that suits you, building on the topics that most capture your imagination. In your first year, you take modules that encompass the fundamentals of linguistic research: linguistic theory, historical linguistics, sociolinguistics, and research methodology. Our modules focusing on linguistic theory and the structure and sounds of English will allow you to learn about how language actually works and how linguists study it. You'll then apply this knowledge to modules that examine the history and varieities of English, teaching you about how language varies in space and time. How you choose to build on this foundation throughout the remainder of your degree is up to you: expand on any (or all) of these four areas, and take modules from the other degree programmes within the department or from across the University. In second year, you will have the chance to study modules in formal linguistics such as phonetics and syntax, as well as modules that deal with the history of language and linguistic thought, language and society, and how language is acquired and taught. Your third year will allow you to further specialise your interests in topics that inspire you. You'll have the opportunity to continue your interest in formal linguistics by developing your thinking about language and the mind. You can build on your passion for the history of English by learning about the latest thinking on the development of the language. Your interests in language and society can be developed as you take modules exploring the relationship between language and gender, discourse, and place. Because language is used in every facet of human life, linguistics links to every other field of study. 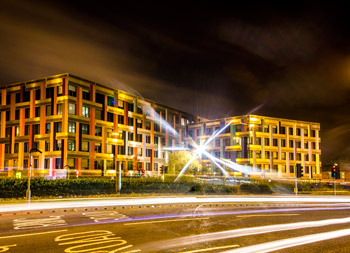 As well as taking an extensive range of optional modules available within the School of English - such as literary linguistics, language teaching pedagogy, and creative writing - you can combine linguistics with other modules from across the University, including in human communication sciences, psychology, modern languages, computer science and mathematics. 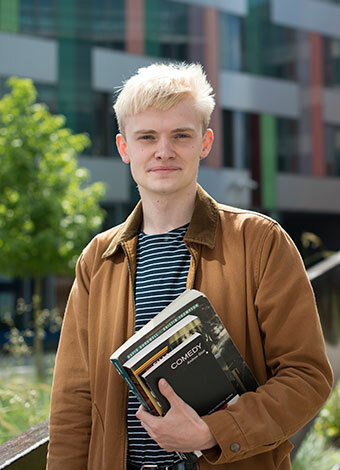 Through the Centre for Linguistic Research, Sheffield's English Language and Linguistics programme has links to these other departments, and we encourage you to explore the area of language you are most passionate about. "The academics in the department are friendly and supportive, going above and beyond whenever I have needed assistance. Every single module I have taken has been engaging and intellectually stimulating. Under their excellent teaching, I feel that I have grown into an independent researcher and critical thinker."